Both teams sit ten points behind leaders Barcelona, and a victory for one side could prove to be a devastating blow to the other. Here's 90min's preview of Saturday's game. ​Real Madrid have several established first team players ruled out of Saturday's match. ​Gareth Bale, Toni Kroos, Thibaut Courtois and Marco Asensio are all injured, whilst ​Karim Benzema remains a doubt. Brahim Diaz, recently acquired from Manchester City, has come off the bench in the last two matches and will be pushing for a starting berth. However in their last five meetings, Sevilla have won three times - including a 3-0 victory in the reverse fixture earlier in the season. Real Madrid have discovered some degree of consistency of late, losing just one of their last five league games. Sevilla on the other hand will be looking to end a run of three games without a win, and will need to bounce back following last week's defeat to Bilbao. Here's how both teams have fared in their last five matches. 4⃣🎯 @SergioRamos has scored in four competitions this season! This is a must win game for both teams if they are to cling on to the slim hope of closing the gap on Barcelona. 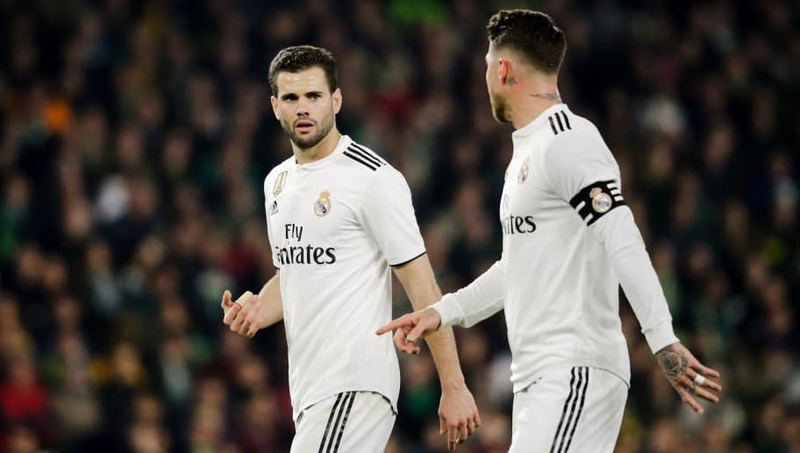 With Real likely to field a relatively inexperienced team for such a big game, Sevilla could capitalise on their nerves in front of an impatient crowd - heaping yet more misery on Santiago Solari's reign as manager.